Every year in October, the RON (Reach Out Nigeria) video is released and it is a phenomenon to watch out for. 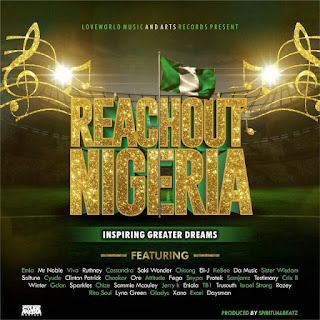 BLW Allstars return in this year’s October 1st Nigeria Independence Day celebrations with a new video for the annual reach out campaign by Believers’ Love World. This year’s theme for RON is “Inspiring Greater Dream”.